I'm in love. This poster is perfect. 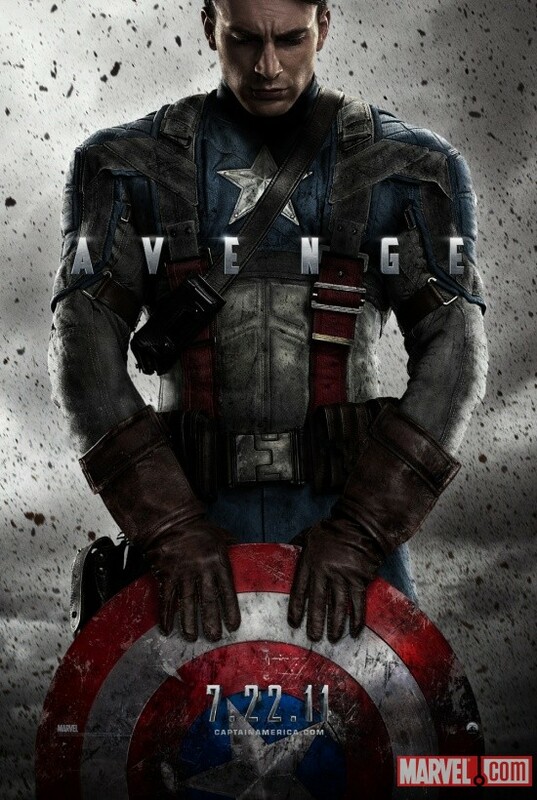 Evans looks awesome in the uniform and the head down imagery is something Cap fans are use to. The use of wordage also is outstanding. While it may come across corny to tease The Avengers with the first poster for Captain America I think it is a perfect portrait of what we are in for with this sure to be summer blockbuster. Stay tuned for more on 'Captain America' as it releases and don't forget the first trailer will premiere during the Superbowl on Sunday February 6th.